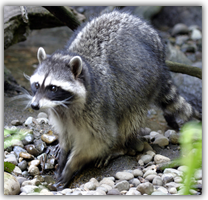 Have one of our professional raccoon removal trappers help you figure out the best raccoon removal solutions available in Avon, Indiana. 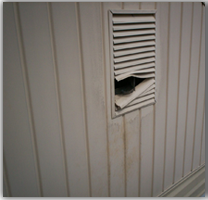 Our services are priced right and our professionally trained raccoon removal team has nearly 20 years of experience. We have successfully completed thousands of raccoon control jobs all around Indiana. Trust the experts in Avon, Indiana and call us for raccoon removal services today. 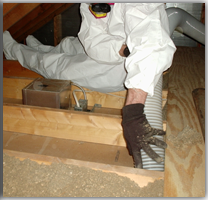 Do you suspect there to be a raccoon in the attic in your Avon, IN home or business? If so, then call our expert raccoon trappers right away! We have the right equipment and knowledge to expel raccoons from any situation. 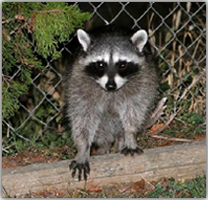 We provide raccoon control services for commercial, industrial, and residential property owners. With nearly 20 years in business, there is nothing we haven’t seen when it comes to trapping raccoons. Call us directly at 317-535-4605 to ask about how to get rid of a raccoon in the attic in Avon, IN.